How do I use the Wifi Sharing feature? Turn on Wifi Sharing and note the address starting with http://. 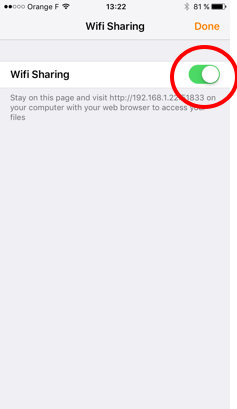 Enter the Wifi Sharing address in your web browser on your computer. Please make sure both your phone and your computer are connected to the same WiFi network.